Thousands of protestors took to the street on October 6th not only to commemorate the war against Israel, but many were also calling for the ouster of General Sisi. 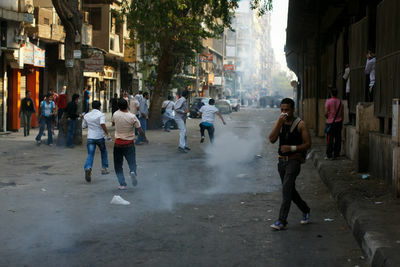 Protestors in Cairo's Dokki district flee tear gas and birdshot fired by security forces. 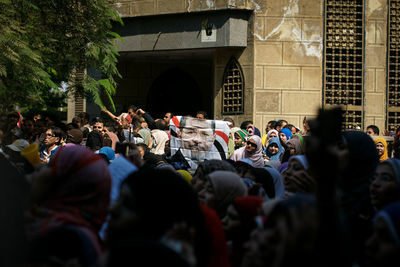 Anti military rule protestors, many of them members of the Muslim Brotherhood, gather to march towards Cairo's Tahrir Square. 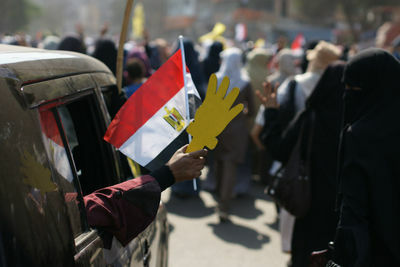 Protestors flash the 'Rabaa' sign in solidarity with those who were killed during the dispersal of the Rabaa al Adeweya sit-in. 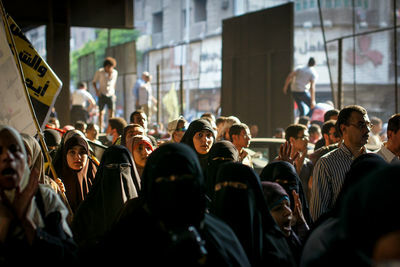 While some are members of the Muslim Brotherhood, many are frustrated with military rule. 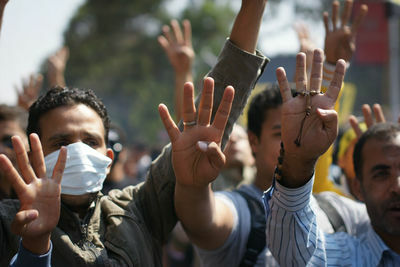 The protestors flashed the '4' in solidarity with those killed during the Rabaa al Adeweya sit-in in August. 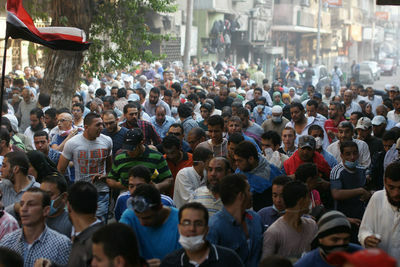 Protestors against military rule clash with security forces in Cairo's Dokki district. 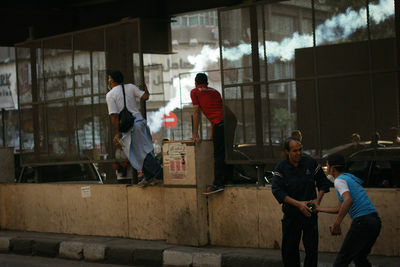 Heavy gunfire followed the use of tear gas, leading to the deaths of protestors. 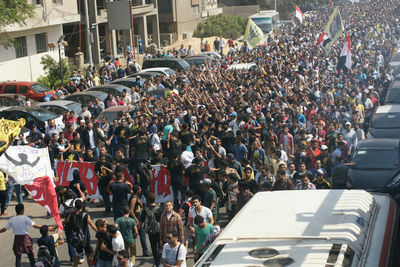 Thousands of protestors march through downtown Cairo to commemorate the October 6th war and to protest against military rule. Youth watch as security forces fire tear gas to disperse crowds. 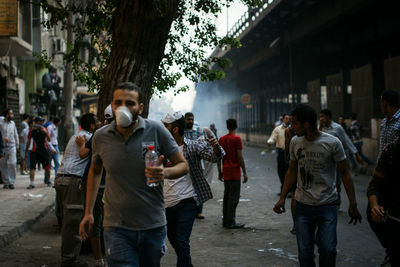 Protestors flee volleys of tear gas fired by security forces to disperse a march headed towards Tahrir Square. 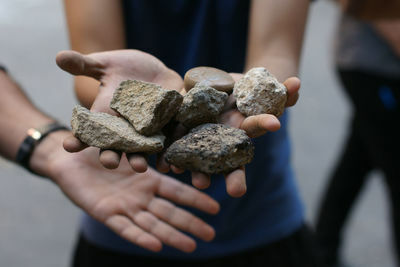 Protestors hold up rocks that are thrown at security forces. "They have guns, and this is all we have," said one young protestor. 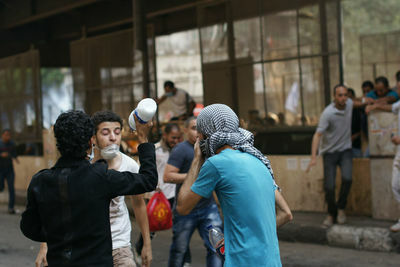 Youth challenge security forces as tear gas is fired towards the crowds. 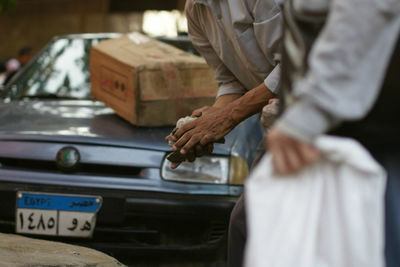 Protestors clean of tear gas residue during clashes in Cairo's Dokki district. A protestor grabs rocks to throw at security forces. 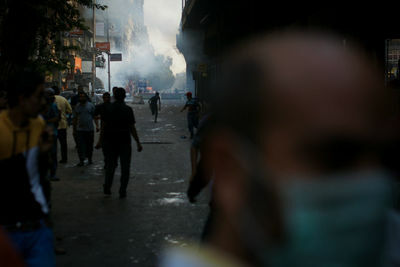 Anti military rule groups clashed with police in Cairo's Dokki district. 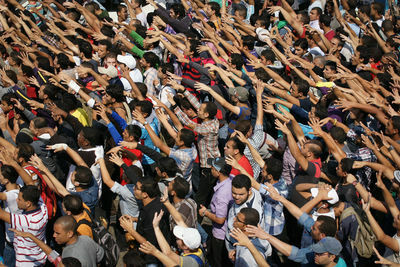 Protestors flee en masse as security forces fire tear gas to disperse the march headed towards Tahrir Square.